When its weekend or day end and you simply want to relax sipping your choicest latte and munching on your favourite sandwich and chocolate pastry, there’s no better place to be than Cafe Coffee Day! And for the ones that are avid visitors to this cafeteria and want to save on their coffee as well as food platter, can make the most of the deals and offers provided by this brand on HappySale. The discounts coupons allow you to enjoy a certain discount on the Cafe Coffee Day app download on your order. That aside, you can also get the Summer Chillers available at the best price possible using the coupons and offers. There are several site wide deals, promotional and cash back offers that you can browse and select from. So simply browse read about the deals and then activate the same. - Show this offer code while placing the order. - Offer is valid on Food and Beverage only. - Offer is valid on amount exclusive of taxes. - Offer is valid at Select Cafe Coffee Day Outlets except Airports, PVR, Corporate and Discounted Cafes, The Lounge and The Square. - This Offer cannot be redeemed against transaction which is at a discounted price, combos deals or any other promotional offer. Verified on 23/4/2019 .. Order any combo from Cafe Coffee Day & save huge. Order Cheese Chilli Toast + Cold/Hot Coffee at Rs 120. No code is required!! Verified on 23/4/2019 .. Order any Classic Veg Combo at Cafe Coffee Day & pay Rs 150 only. This combo also includes a drink. Order online today on Swiggy, Zomato, Foodpanda. Avail now! Verified on 23/4/2019 .. Cafe Coffee Day launches Summer Chillers at Best Price. Order these from nearby outlets & beat this summer blues with these cool drinks!! Avail now! A cup of coffee isn’t just about gulping down your favorite cup of mocha coffee or savoring the Irish coffee and getting up and going about your life! Coffee helps you bond with others and are a perfect way to start a conversation. This is where Cafe Coffee Day has been positioning itself as one of the new age cafeterias where you have the chance to drink your favourite coffee variety along with tasty snacks and also break into a conversation with someone you want to bond with. And if you are a regular one at this, then you have the chance to spend rather judiciously by opting in for the best of the Cafe Coffee Day coupons that are easily available today online at HappySale. So keep browsing to get access to your best discounts online! When you walk into any Cafe Coffee Day outlet you automatically feel relaxed and comfortable! Such is the ambience with an informal vibe about it. That side, there’s easy background music from the latest English tracks that are played which goes a long way to make a person feel completely at ease! That is not all. Other than your regular Cafe Latte, Cappuccino and Cafe Mocha you also the chance to browse through some of the best varieties of coffee such as Aztec, Devil’s Own, Cafe Frappe and the like and select what suits you best. If on the other hand you happen to be a tea lover, you can also get the best varieties of both hot and cold teas. That aside, there are other snacks such as wraps, sandwiches, toasts, pizzas and combo offers which will help enjoy your coffee and snacks platter either all by yourself or with your friend. And to be able to pay for the same within your budget you can simply opt in for the best Cafe Coffee Day coupons and save big! To be able to make the most of the offers, you simply need to click on the “show code” when you decide on one and then use it to make your payment. This is where you will be able to redeem your discount percentage. 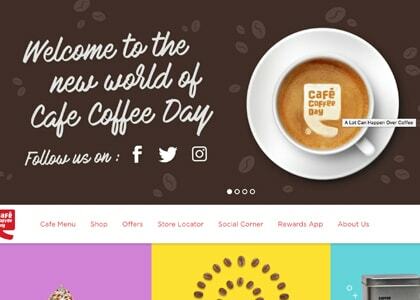 To be able to save every time you visit this cafe, would mean that you select wisely from the wide range of Cafe Coffee Day coupon codes that are listed online. Doing that will help you get amazing discounts on Tawa Pizza, Masala Chai, Chicken Rolls, Flavoured Iced Teas and many more. These offers enable you to make the most of the combo deals where you get to taste Chilli cheese toast and coffee for as less as Rs.120. There are other deals and discounts where you can be using the coupon for the first time and get an off of Rs.100. There are other deals that are available on Afghan-e-Paneer and many other platters that have been introduced recently. You can opt in for the best of the promotional discounts, the attractive cashback offers that help you save almost instantly in your bank account and the site wide deals that keep varying so that you have the chance to select from the best ones on offer. So go ahead and pick your platter and add to your savings and make those coffee conversations more and richer. If you have been waiting for the best of the Cafe Coffee Day promo codes that enable you to select from the authentic ones, which doesn’t involved any last minute extra costs and activation hassles, then it’s always best to depend on HappySale for the same. This website has gained much prominence for being the best one to list all the latest and best offers scanning from the online searches. In addition to that, at HappySale you get to know more on the offers by reading through the deal descriptions which will help you know the deal in complete clarity and then opt in for the same before the offer expires.